Greek Week is right around the corner! We are paired with the men of Sigma Pi and Phi Delta Theta. Check out what our Greek Week Chair, Erin Ratican, had to say about this year’s events! 1. What are you most looking forward to about Greek Week? I’m excited for it to start! There has been so much work and countless hours of planning put in by me and the men that we are paired with. I am excited for it all to start and our hard work to pay off. I think for me the best thing will be to see women showing up to events supporting their sisters and the pairing. It will be a great time to see our values of service and personal growth come into play. 2. What makes Greek Week different from Homecoming? Greek Week is different than Homecoming in various ways. For starters, there is a sports tournament comprising of co-ed teams for volleyball, basketball, soccer and flag football. Greek Week is all about providing service to great causes. There are so many service opportunities ranging from Canstruction to Special Olympics to the Necessity Drive. 3. How is this year different from previous Greek Weeks? This year the greatest difference in past years of Greek Week would definitely have to be the random pairings. Instead of the traditional way of voting on which houses to be paired with, there was a live drawing based on chapter size to determine the pairings. Another big difference this year is that there is no fifth sport. Traditionally, there is a fifth sport that is a fun game such as Capture the Flag or Steal the Bacon. There will also be no finals for Fling this year as it lands on a holiday weekend. This means that the skits will not have cliff-hanger endings. Greek Week 2014 is sure to be a blast with all of the changes in place! 4. Greek Week encompasses a lot of events, which one is your favorite? I am very excited for all the events, but I would have to say that supporting my sisters and the men we are paired with at the various sporting events is my favorite. Hopefully we will have great weather this year for the games! It’s always fun to see everyone hyped up and cheering on their team. I think we have a great pairing this year and we can do really well! 5. 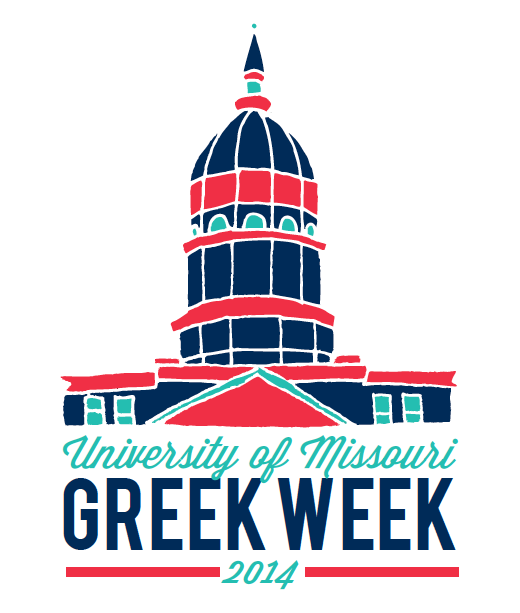 What is one thing people don’t know (or understand) about Greek Week? There is so much that goes into Greek Week behind the scenes. From creating a design that will be possible to make out of cans, to setting up meeting times with the men of both houses it gets pretty crazy. I think that a lot of people don’t necessarily understand that the purpose of Greek Week is to serve and support great causes. There are so many fun events and the ultimate purpose of the events is to give back to the community. Greek Week is a great program to be apart of and gives us so many opportunities to provide help and service to those in need.